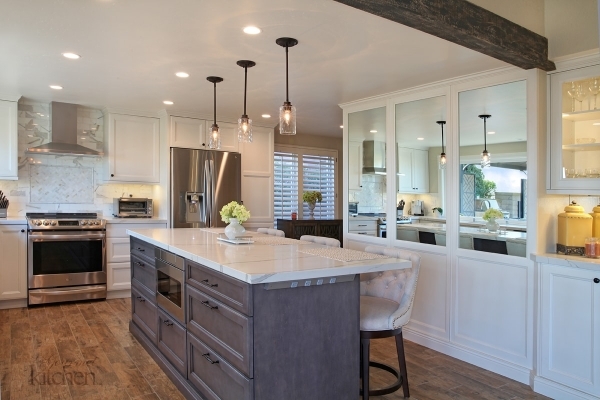 Capistrano Beach Farm Kitchen Remodel | Le Gourmet Kitchen Ltd.
Bruce Colucci remodeled this beautiful kitchen with a farm spin in Capistrano Beach. 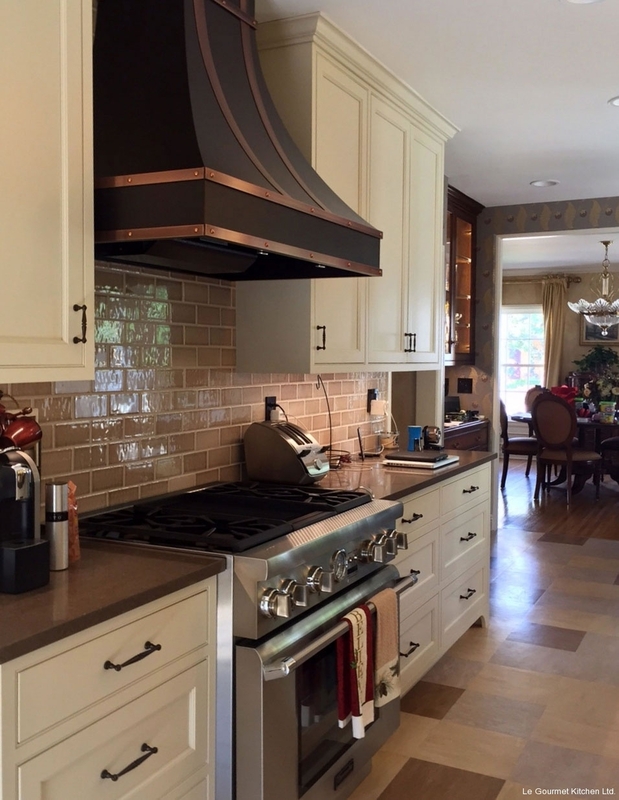 This traditional kitchen features Kountry Kraft Custom antique distressed pine finish cabinetry with custom corbels and a tiled counter top. 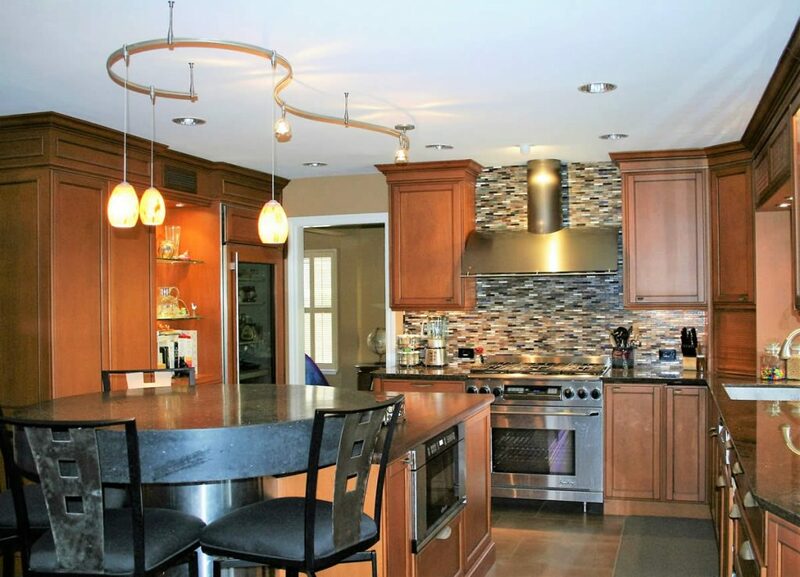 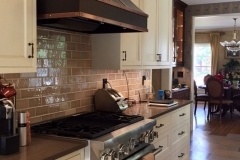 The focal point of the kitchen is the brick mantel hood over the professional range. 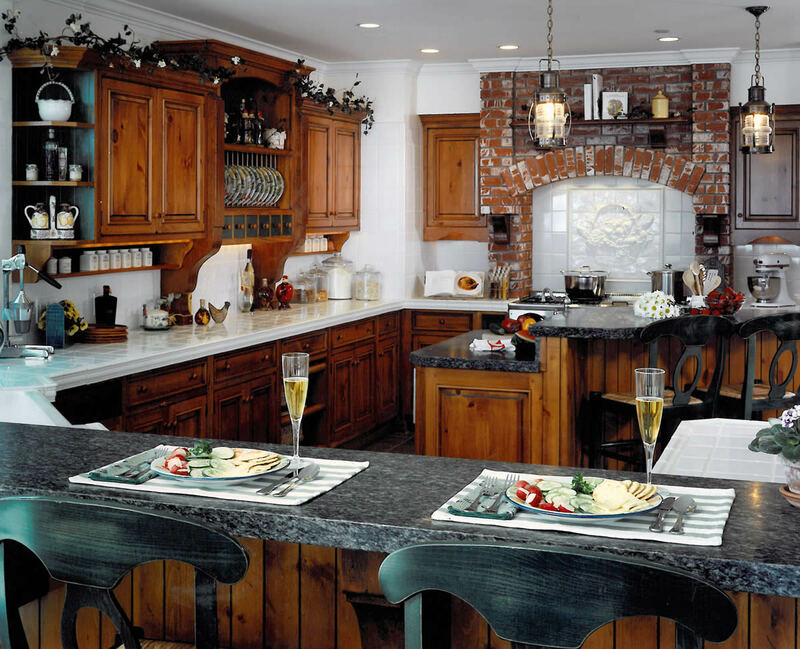 There is an island and bar seating area with Green Fontaine honed and oiled counter top. 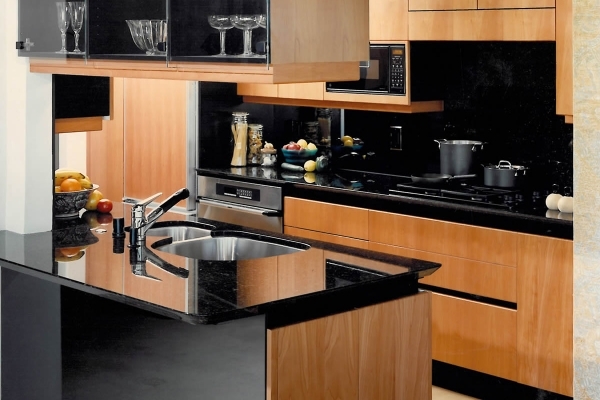 The island has an additional sink to make for easy meal preparation. 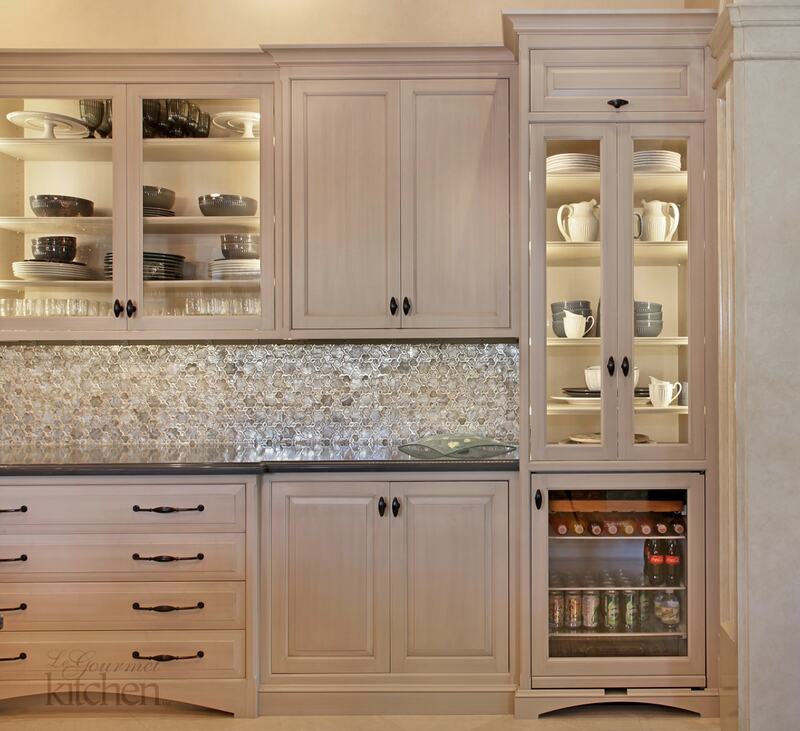 It is unique with a two tier counter which makes for a perfect buffet style serving. The Shaw farmhouse sink blends effortlessly with the tile counter in a lovely way. 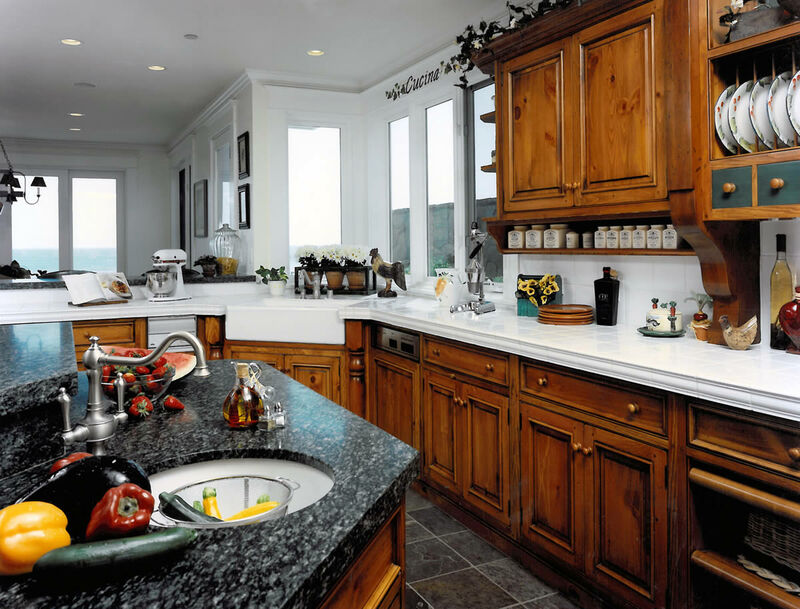 Around the kitchen you barely notice the appliances due to the fact that they are all integrated with the cabinetry. 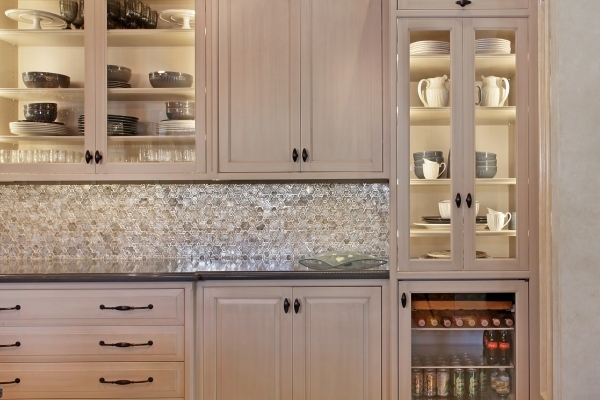 There is additional storage space in the shelf pullout baskets in the counter. 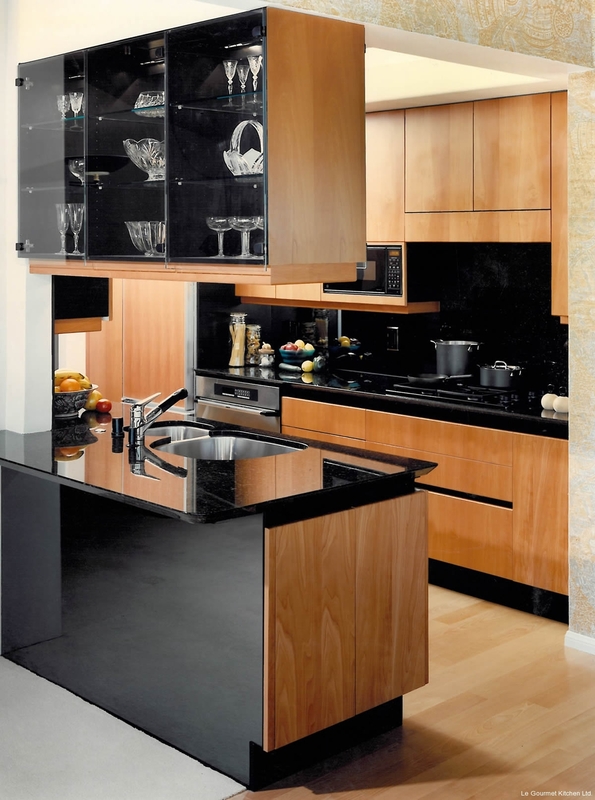 Also green accents are added into the cabinetry to make the room more playful.